I once had a really bad holiday at a caravan park near St Andrews and it was genuinely so awful that it scarred me for life. So I never thought anything remotely connected to a caravan park would make its way onto the pages of this directory. 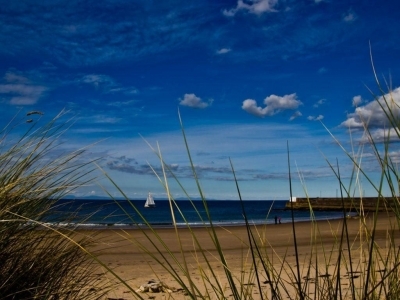 HOWEVER, I’ve always adored the beaches around Lossiemouth to Findhorn on the north Moray coast. You can find white, pristine, fine sandy beaches and little mountainous dunes to explore. Burghead, just along the coast from Lossiemouth is also the cutest little coastal town. 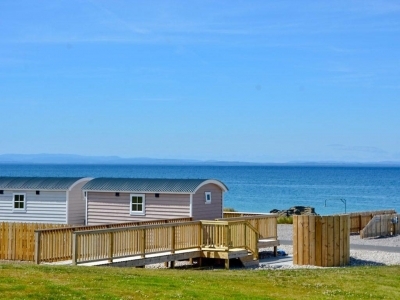 Hopeman too, is on the rise and becoming picture postcard lovely. I always thought, if someone could create the right kind of accommodation offering around these parts, it would really be magical. But the vibe would have to be right. Well, guess what. Someone shared my thoughts and has done exactly that. 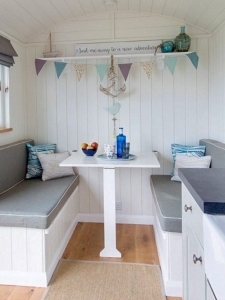 Ruth and Barry Scott bought up the caravan park on Hopeman Beach and have turned it into the cutest, kitsch, retro beach affair. 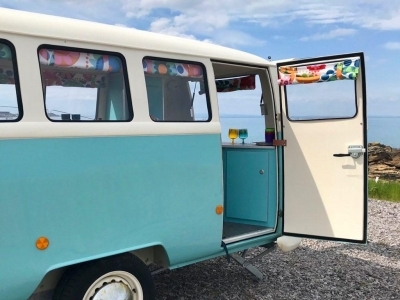 What vibrant, fun positioning – they really are attracting a whole new demographic to camper life. It’s ticking so many boxes for me, and I’m sure many other like-minded people will find this a fun holiday choice, so it had to go onto the site. There are quite a few reasons why I like it, I’ll bullet point them for ease of reading: -	It’s situated on a pristine 5 star rated beach! 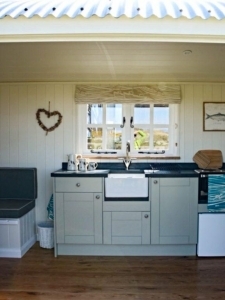 -	Many of the accommodations and pitches face straight onto the sea… -	It’s all very new, clean, cute and kitsch… beautiful fresh décor (Ruth is an interior designer) -	I love the branding – think vintage seaside postcard prints and lettering -	They have bright sparkly VW (style) camper vans you can stay in! -	They own the Bothy Bistro down the coast, where the food is ridiculously marvelous. 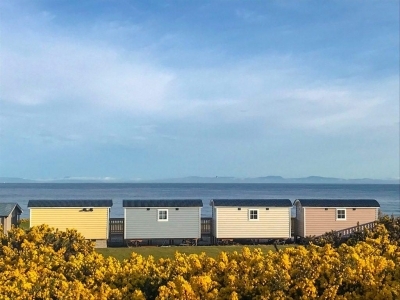 It’s just along the renowned coastal path which follows the old railway line – perfect for a cycle or a nice walk -	Burghead, Lossiemouth beach, Findhorn and now Hopeman should be on your Scottish bucket list, full stop. 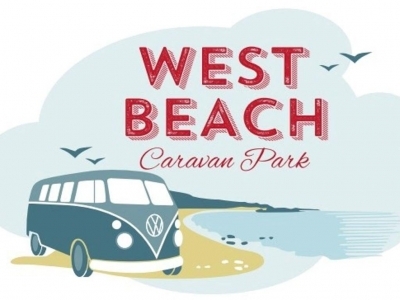 Here’s what the owners say: West Beach Caravan Park is a privately owned, family run, beach front grass park providing holiday vans as well as pitches for motorhomes, touring caravans and tents. 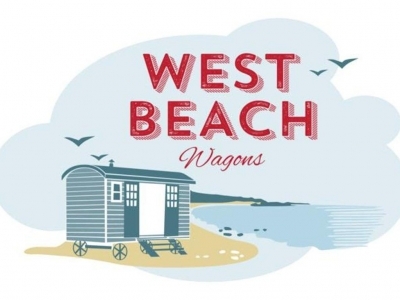 This year we are also introducing our luxury ‘West Beach Wagons’ and our retro Dub Boxes for glamping. 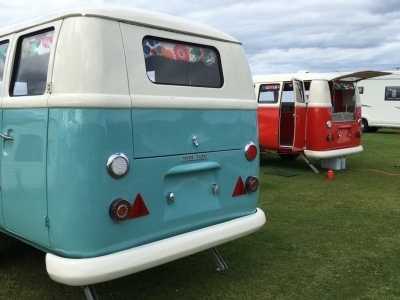 (By the way, a Dub Box is a static VW style camper, love!) 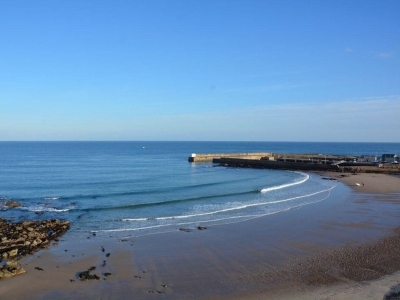 Hopeman Beach has been voted in the top twenty most beautiful coastal areas on the planet by National Geographic!! (Em, WOW!) The park is partly on the site of the old railway station and the former station building provides shower facilities and laundry. 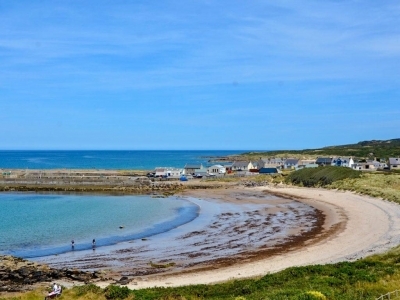 The park facilities include its own golden sandy beach with rock pools at either end known as West Beach. 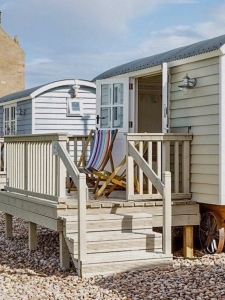 The previous railway history will not be forgotten because our luxury glamping provision is in the form of traditional goods wagons which are similar to shepherds huts. 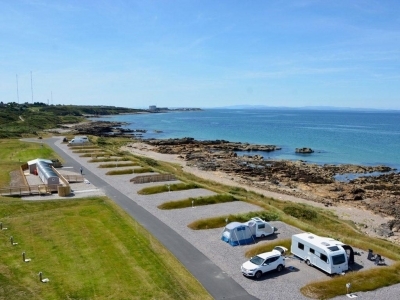 West Beach Caravan Park is only open from Easter until the end of October and is solely for holidays. 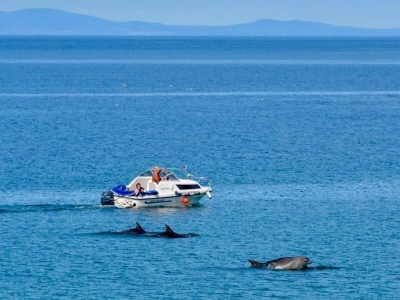 We aim to provide a welcoming, family friendly holiday destination. We have a thriving Facebook page where we regularly post news, photos and updates. Our Instagram is also on the rise! 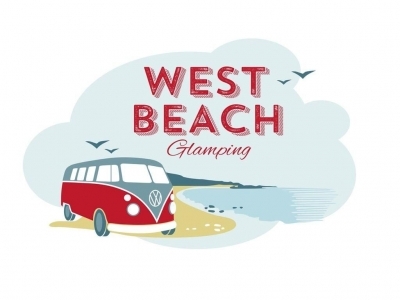 We have recently extended the touring provision at West Beach to include Premium Shore and Sea View pitches within nine additional acres at the west end of the park. This area is known as The Shore and overlooks the rocky coastline. This area can be seen on Google Earth. 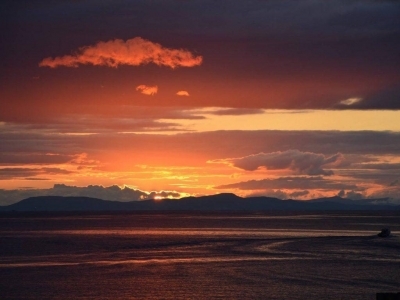 Our location on the Moray Coast provides the natural facilities for endless entertainment – we leave the rest to your imagination! So, to conclude - Are Ruth and Barry single-handedly raising the profile and credibility of caravan parks? Possibly! 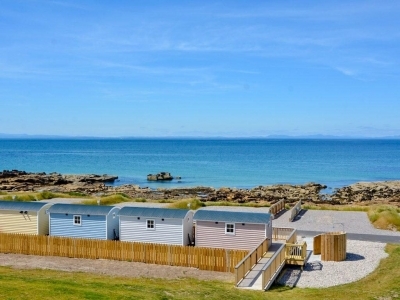 All I know is that I want to go here with my family this Summer and cycle along that coastal path to Burghead to eat at the Bothy Bistro. After a cycle back we’ll all make sandcastles on the beach. 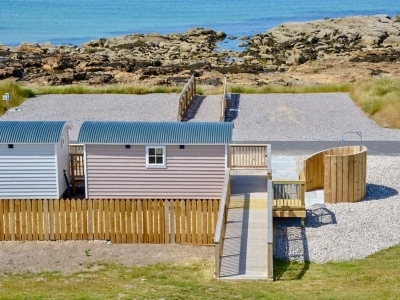 Then when we’re hungry again we can get fish and chips from the local chipper and drink some rose wine outside our glamping cabin watching out for dolphins and whales. I might even try to get to know the other like-minded people and families around us in the park, because this is a safe, fun place for the kids and adults to explore and make friends. Doesn’t that all sound family fun fabulous! 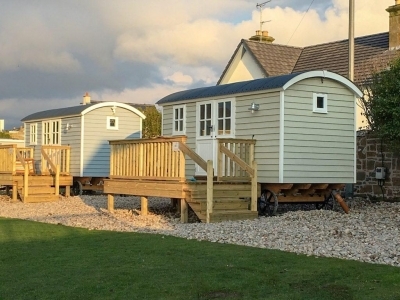 By the way, Ruth and Barry own several different other accommodation offerings in the area including luxury cottages, The Millie and The Bessie. (Coming to Chic Scotland soon). 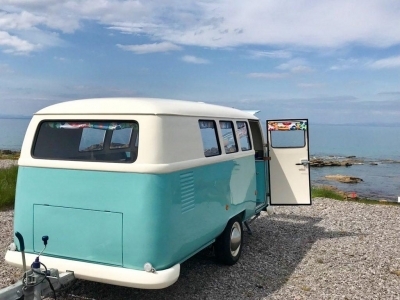 PS, new for 2019 is The Dory, a 1965 Leyland PD3 bus they are turning into a crab shack style eatery – how cool!! Also, the Hopeman Railway Station sometimes opens as an exhibition space. I see hope for Hopeman.... brilliant stuff!